Read in this what you will. I have a weakness for stories about self-destructive doofuses, toxic family bonds, and small-time crooks, so naturally I dug the Safdie brothers’ grungy Good Time, in which a Queens lowlife played by Robert Pattinson goes on a night-long odyssey to get his brother out of Rikers Island, but keeps being sidetracked by his own impulsive scheming and two-bit hustling. It hits a plenty of other spots, too. I’m partial to anything with a mood of itching urgency and to movies that plot themselves into tighter and tighter corners until they flip inside out into some kind of abstracted, claustrophobic representation of the whole—the way that the druggy, attention-deficient tunnel vision of the narrative eventually rabbit-holes Pattinson’s character into a black-lit tunnel ride at a closed-down amusement park, where he gropes for a drug dealer’s rumored stash alongside a stranger he initially mistook for his brother. Plus Pattinson is a hoot to watch. I’m fascinated by his skin, which looks puffy and irritated and generally bad. In The Rover and The Lost City Of Z, his characters are badly sunburned. I wonder if that’s his thing. 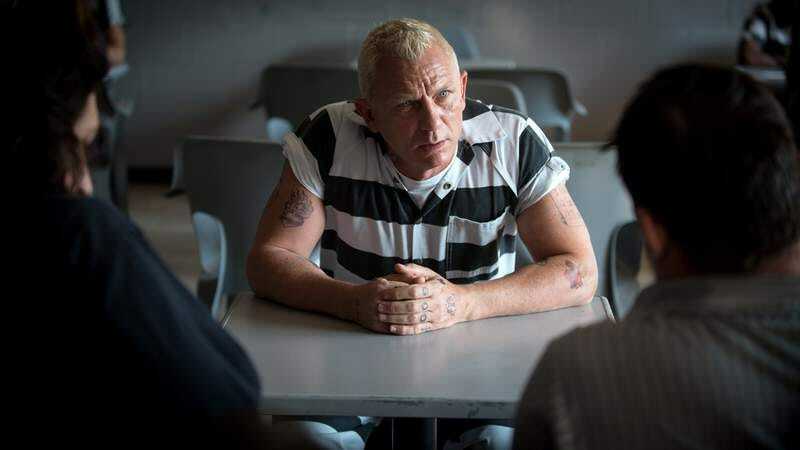 And then there are all those commonalities with Steven Soderbergh’s caper divertissement Logan Lucky, a movie that couldn’t be more different in tone and style—nocturnal vs. sunlit, an anxious camera vs. one that’s mostly locked down, New Yawk snarls vs. West Virginia drawls, winter in the city vs. summer in the country—but whose plot follows a very similar outline: A screw-up gets his brother with a disability involved in a heist (a bank in Good Time, the cash vault of North Carolina’s Charlotte Motor Speedway in Logan Lucky), which lands said brother in jail. So okay, Jimmy Logan, the protagonist played by Channing Tatum, isn’t anywhere near as irresponsible as Pattinson’s Connie Nikas, and his one-handed veteran brother, Clyde, played by Adam Driver, is in jail as part of the heist plan. But the same themes underlie both versions of this premise—a very primal confluence of desperation and guilt, the sibling as doppelgänger, etc. That’s not even mentioning the economic anxieties and class differences that fill out the plots and supporting casts of both movies. And of course Jimmy Logan is a swindler, too. Connie’s the kind of guy who isn’t too bright, but takes advantage the moment he figures he’s even a hair smarter than the person sitting across from him. Jimmy, Clyde, and their sister and partner-in-crime, Mellie (Riley Keough), just play other people’s vanity and pride to their advantage—a theme that only becomes obvious in retrospect, once you start mentally retracing the steps of their plan. Deception is a pet subject of Soderbergh’s (e.g., the Ocean’s movies, The Informant!, Side Effects), and he’s got a thing for determined heroes and anti-heroes who are underestimated by everyone else, whether it’s the working-class protagonist of Erin Brockovich or the old ex-con in The Limey. Of course, there’s an element of projection to the latter and self-identification to the former—that tried-and-true metaphorical equivalence between caper and craft, con artistry and art. There’s probably some of that artist stand-in business to Connie, too, who presses his way into other people’s lives and exploits them. And it’s pretty clear that both the Nikas brothers and the Logans reflect the Americas they inhabit—more overly in Logan Lucky, though it’s arguable whether it’s really the movie with more to say. A thought crosses my mind: What is it about America that lends itself to being characterized through stories about criminals, whether they’re tragically ambitious mobsters or desperate no-name hoodlums? Consider how many of the canonical great American movies are about crime, or how many films that are generally understood to convey the tenor of their era—classic noir flicks, scuzzy New Hollywood movies, and so on—are about criminals. How many stories that are broadly understood to be “about the American dream” are about schemers, cons, or doofuses thinking they can pull a fast one on everyone else? Does it speak to the strengths of crime as a subject—its ambiguity, its seductive qualities, or the way it hits on both power and guilt? Or does it say something about America?